Power Management With A Honda Home Generator! Power management is a feature of many electrical appliances that conserves power when the equipment is not in use, or when the electrical appliance is using general running wattage. Certain advanced computers, laptops and other electrical equipment have a power management feature, and it is an important feature for extending the battery life of many of these appliances. If a piece of electrical equipment is dormant or just running consistently for a certain period of time, the power management system kicks in. Once it is automatically activated, the power management system switches the electrical appliance to a low-power state, or it completely turns the power off. This conserves power when not in use, and it provides many other important benefits for the appliance. When using a generator such as the Honda EM 3500, 3800, or 4000, which are designed for home use, power management is important. A generator is designed to generate power and electricity; however, it can only generate a certain amount of electricity over a certain period of time. A generator needs fuel to consistently produce electricity, and without this fuel, a generator will eventually cease generating power. With a power management system, a generator’s power is conserved when it is not being used heavily. When a generator is using running wattage to generate power, a power management system will greatly improve the efficiency of the generator. If a person walks away from a generator or is simply not using a lot of the generator’s power, the generator will automatically conserve its power. Power conservation can be exceptionally important for a generator because generators only have a limited amount of power to go around. Unlike other electrical appliances and equipment, generators are not plugged into an A/C outlet, and they do not receive limitless power. Generators are designed for specific situations where limitless power is simply not available, and in these situations, having a power management system or feature with the generator to enhance the generator’s efficiency is of the utmost importance. Power management is a built-in system on some electrical appliances, and it can greatly help to conserve power. In addition to having a power management system on some electrical appliances, there are some things a person can do to conserve power. Starting electrical appliances that have a very high starting wattage at different times can help to conserve power. The starting wattage of various electrical appliances is usually much higher than the running wattage, and starting these appliances at different times can avoid a huge grab for power among a person’s electrical appliances. Running certain appliances that consume a lot of power by themselves is important. If planning on running a certain electrical appliance for a short amount of time, run the appliance without any other power demands. This can save power over the short-term and the long-term, and the appliance will only consume power for the short amount of time that it is turned on and running. 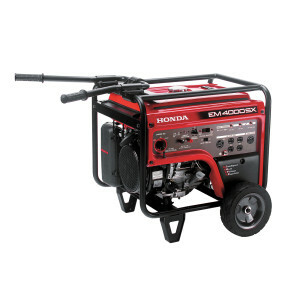 If a person is looking for parts for a Honda Generator – OEM parts are recommended. OEM Parts are manufactured by Honda, with the same high quality standards and procedures. The part ordered is guaranteed to be compatible and durable. www.hondalawnparts.com is a great resource for replacement parts for a Honda Generator. With the easy to navigate online parts lookup tool, parts are easy to locate and order. The online parts lookup tool provides search options for parts names, numbers or even a search by diagram. This entry was posted in Uncategorized and tagged Generator, Honda Lawn Parts, Power Management by Admin. Bookmark the permalink. Hi, Please contact Honda Lawn Parts at 717.375.4455.